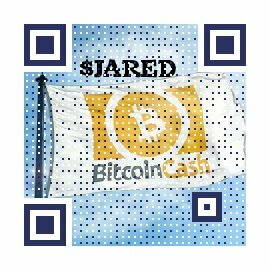 Bitcoin Cash price variations currently possess a 90 Day Pearson Correlation of .79 with Bitcoin, a .84 correlation with Ether, .84 with Dash, and .83 with Ripple. It shows correlations of .7 or above for numerous other altcurrencies. It is negatively correlated with the S&P 500 at -.21, its strongest magnitude fiat-related correlation. The P-Values for the 90 day correlations with other coins are very small at .005. The P value for the correlation with the S&P 500 is .05, putting all P-values on a level frequently applied in an academic research setting to define high statistical confidence that the detected correlation is not the result of random chance or a mistake of analysis/measurement. 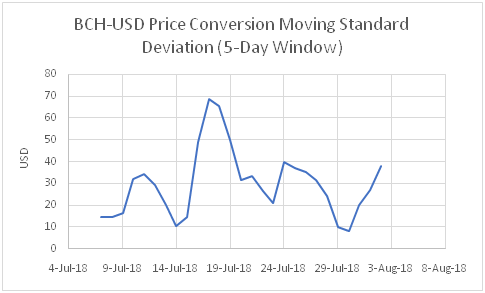 The closing price for BCH on July 13, 2018 was 696.59 USD, as reported by Coin Market Cap. This is still over 170 USD lower than the BCH price highs enjoyed until the 4th week of June 2018. Those gains began with a rally that initiated at the end of May 2018, based upon Bitfinex data from Investing.com. Coin Teleghraph, who correctly predicted the BTC market would turn bearish in December 2018 is now recommending buying Bitcoin. Their view is that larger investors are now entering the BTC market, most recently Steve Cohen, a billionaire. He has created a hedge fund that invests in blockchain and cryptocurrency projects. Coin Telegraph feels its readers should follow the nose of major investors and that now is the time to buy BTC. As BCH price correlates relatively strongly with BTC, this implies to us that BCH investors may be wise to invest in BCH if that is their currency of choice. Coin Telegraph anticipates that Ether is about to move upward a large amount, also, which we feel also bodes well for the BCH Price, as it is even more strongly correlated to this currency. However, Ripple, a similarly correlated crypto is expected by Coin Telegraph to decline for a while, conflicting with our other two conclusions. Coin Telegraph's view is that BCH's decline in price will come to an end between 619.75 and 657.8 USD. They think a long position is best. They are not making a buy recommendation at this time, though.